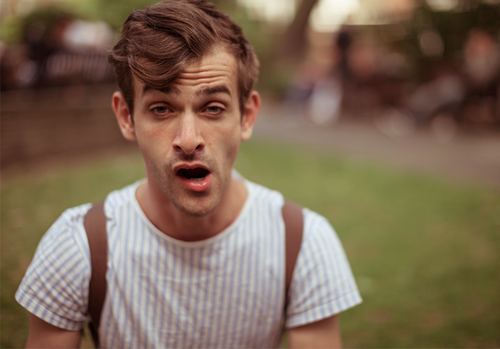 Who can honestly say that in that pic Josef Salvat doesn't look like a stoned baseball player from A League of Their Own? That outfit screams 1940s war time athletic gear. And his face looks like he just opened his fridge to find a present from the Cake Boss. Honestly tho, who cares if he looks like that when he sounds like a soulful angel. We have posted about this Aussie wonder several times previously, but this new tune = the best one. Another blogger (who I refuse to promote because THIS IS UR FAVORITE BLOG RIGHT) called it "literal gold dust." It begins with a slow beat and his sexayyy voice, and eventually explodes into catchy chorus-dom. Also I can't decide if this is a good thing or not, but I can only think of Katiniss and Peeta when I hear this song. "I can't face this hunt alone / I'll be needing u / You'll be needing me too / we're in this game together". COME ON!! In the extended version , Josef probably sang about the violence of Cato. And the hairstyles of Caesar. It literally belongs on the Mockingjay soundtrack.